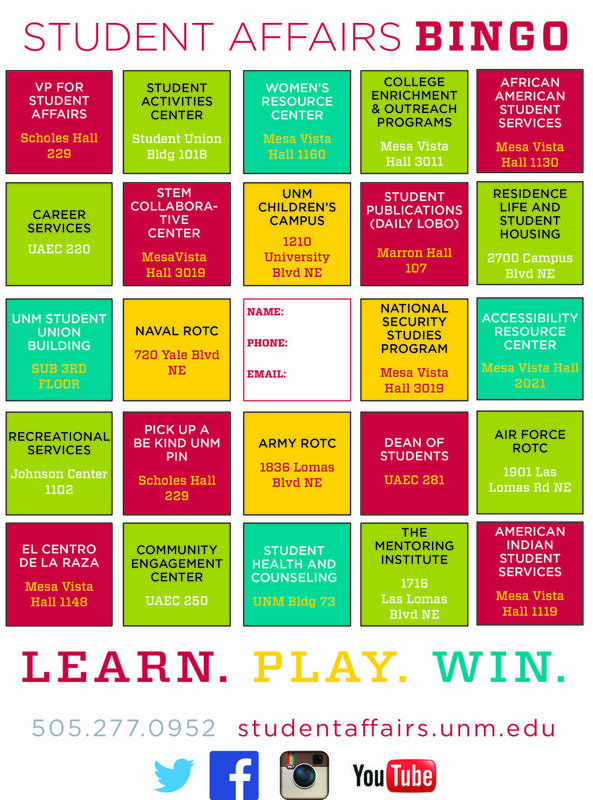 The UNM Division of Student Affairs has created the Student Affairs Bingo Game to familiarize students with the programs and services in the Division as well as their physical locations on campus. The game board is filled with the names and addresses for each department in Student Affairs. The goal is to have participants learn more about the Division by visiting each department for the chance to win great prizes including a month of free parking on campus, two guest coach passes to an upcoming Lobo football game, $75 in LoboCa$h or University of New Mexico swag. Any UNM student is eligible to play. Game boards will be given to new students during New Student Orientation and will also available in each of the Student Affairs departments, via download or on the Student Affairs website. The game runs all summer from Wednesday, May 31 through Friday, Aug. 11. Every participant who completes a regular across, down or diagonal bingo and submits it to the Division of Students wins UNM swag. Those who complete the entire board with a bingo blackout and submits it will be entered into the grand prize drawing the parking pass, football guest coach or LoboCa$h. The grand prize drawing will be held on Friday, Aug. 18 and the winners will be announced on the Student Affairs Facebook page. 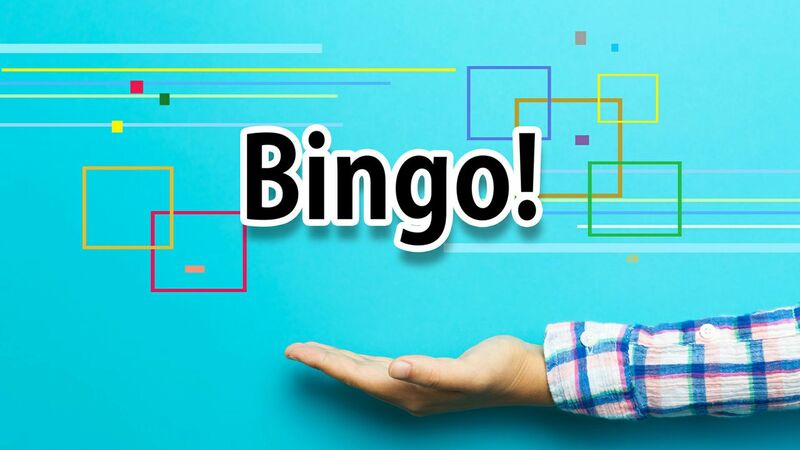 For questions or more information regarding the bingo game, contact Dorene DiNaro at ddinaro@unm.edu or visit the Student Affairs Bingo Game page.